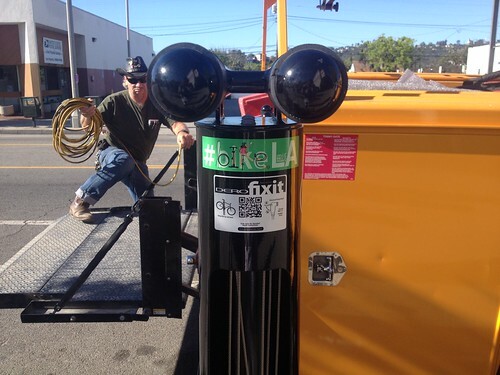 Bicycle Repair Stations hit LA streets today! 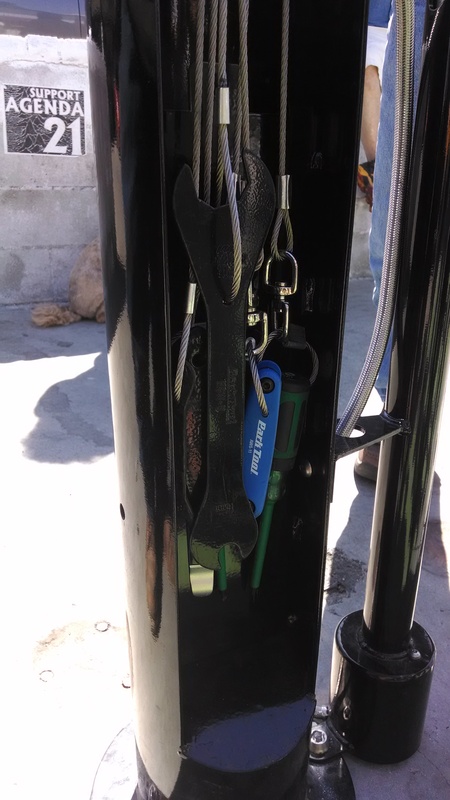 Bicycle Repair Stations unwrangled in Los Angeles! Thank you to all the community partners who make these repair station possible including our business partners and Council Districts 10, 13, and 14. 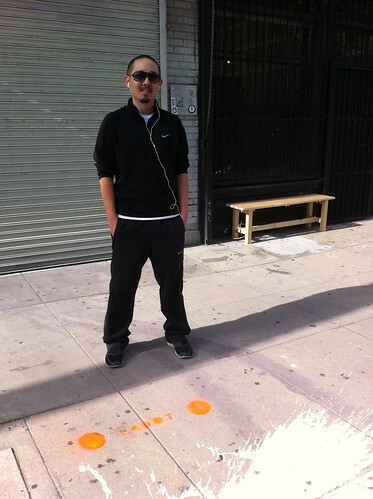 We couldn’t do this without you! 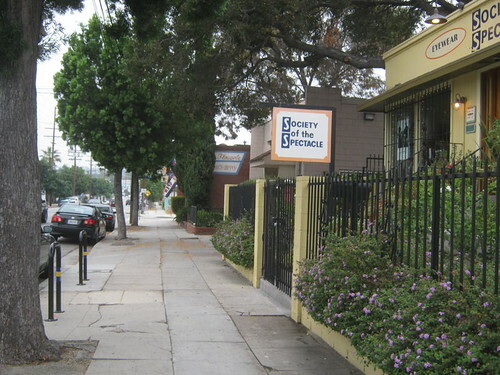 Featured in today’s community profile are Amy and Katie O’Connell, owners of the eye wear store Society of the Spectacle, located on 4563 York Boulevard in the Highland Park neighborhood. 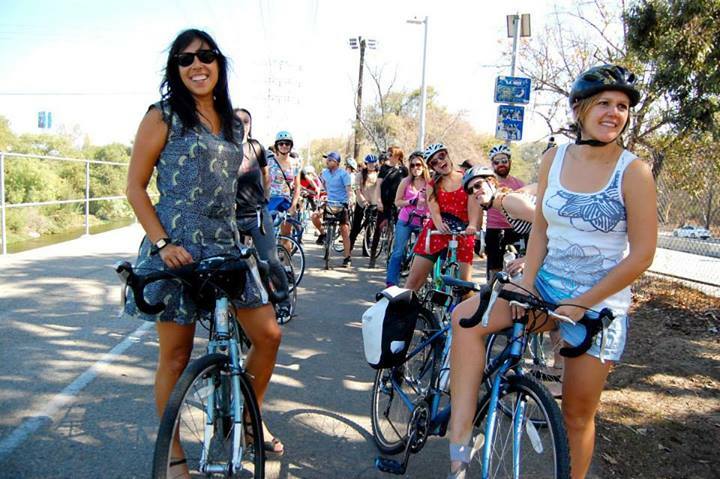 Both are very enthusiastic about cycling and enjoy riding around the Highland Park and Eagle Rock area. 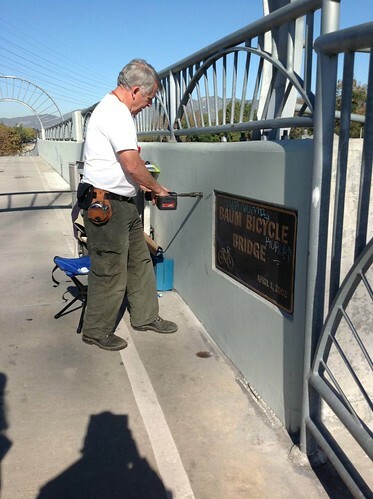 Editors Note: The LADOT Bike Blog would like to introduce our newest series, Community Profile. 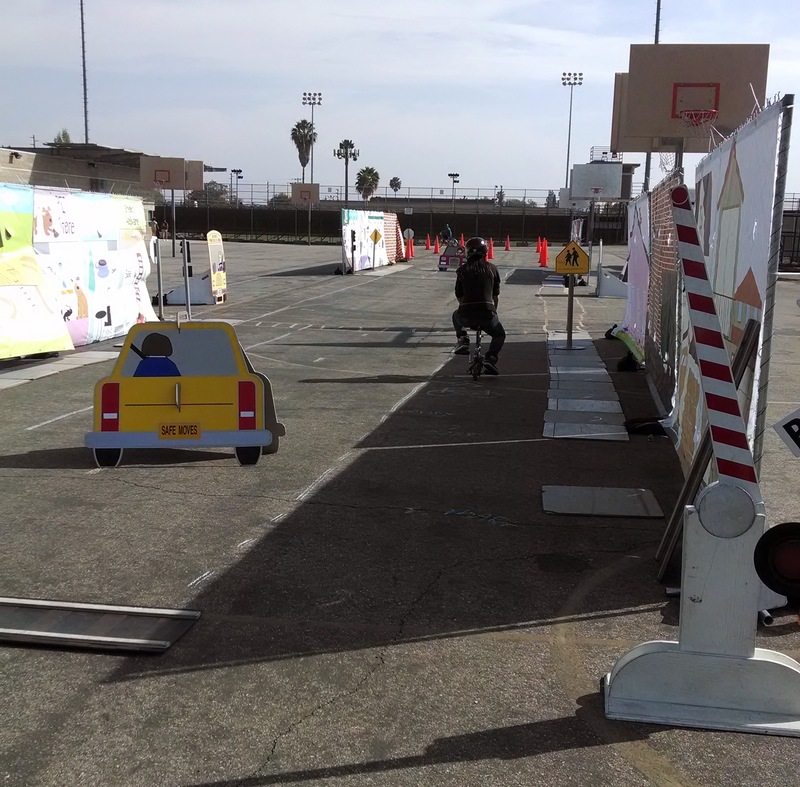 This series will provide an insightful look into bicycle friendly and bicycle related businesses in the City of Los Angeles. 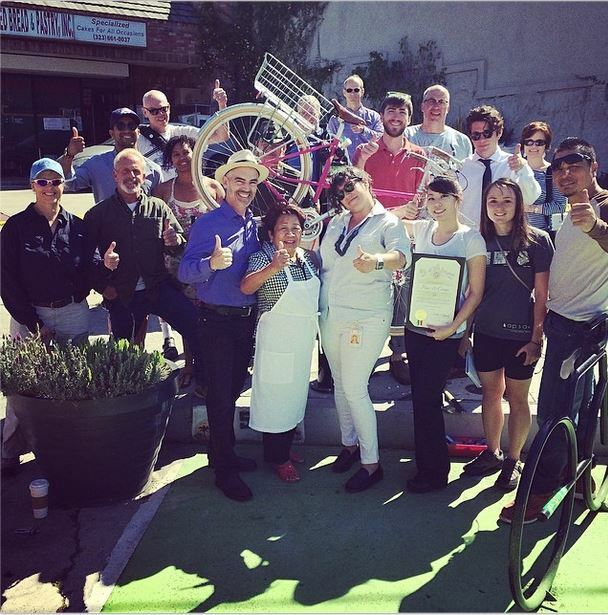 We hope to show why these businesses choose to be bike friendly, and how they are helping to improve the qualify of life for all Angelenos. 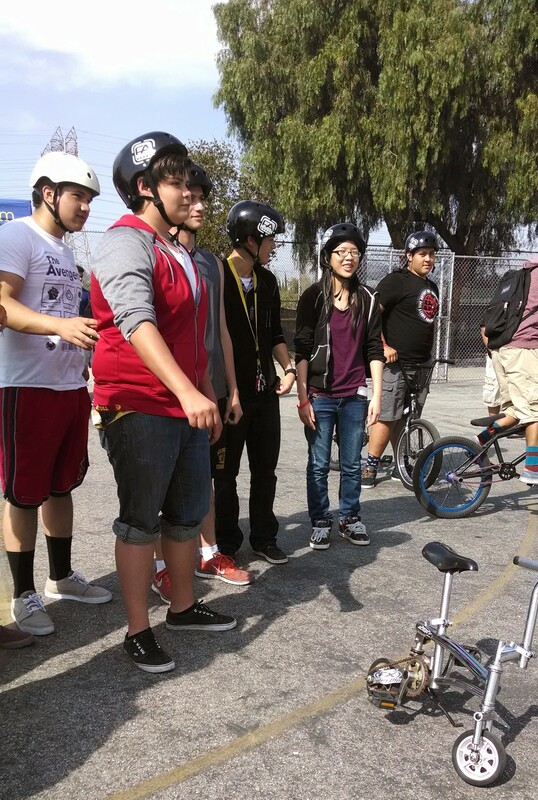 The LADOT Bike Program is committed to encouraging and supporting bicycling in the City of Los Angeles. 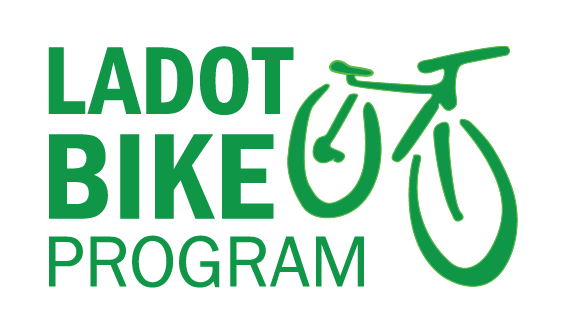 If you know of a business that would like to be included in our latest series here on the LADOT Bike Blog, feel free to leave us a comment below, or fill out our form, or email us at ladotbikeblog@gmail.com.